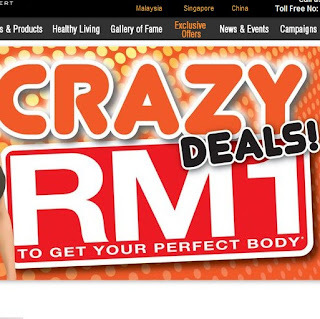 Mehlah Baca Blog Kawan: Churp Churp : Get The Bizzy Body RM1 Deal Today! Still putting on some holiday weight and dreading to lose it off? Boy, don’t we have a crazy deal for you! Bizzy Body, The Slimming Expert is bringing you an amazing offer and there is no way that you can miss this! With only RM1, you are one step closer into getting your perfect figure, perfect shape! Craaaazy offer, right? Don't wait, head over to http://www.bizzybody2u.com/trial.html and learn more about it! Share this crazy deal NOW!